The squamous servitors of Dagon themselves. 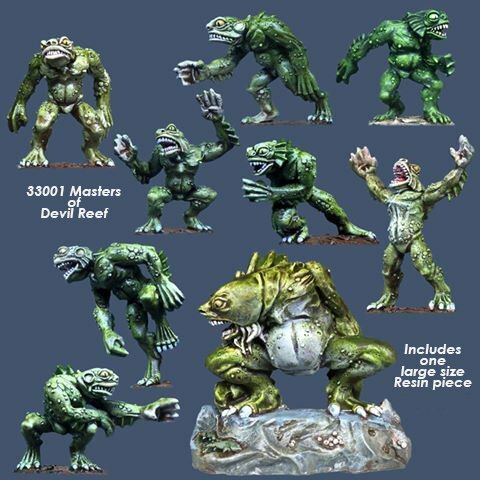 This set Includes one large size resin Great Deep One. 28mm sized metal and resin figures, supplied unpainted.